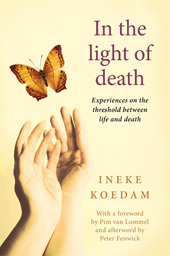 After reading Ineke Koedam’s recently-released book, In the Light of Death, I am rethinking my somewhat negative ideas about hospices. As indicated by a couple of prior posts, the last one being on January 25, 2011 (Do hospices promote despair? ), I had come to the conclusion, admittedly based on very limited sampling, that hospices discourage any discussion of spiritual matters, especially the whole idea of life after death. While attending a weekend of hospice training, I was informed that spiritual matters were not to be discussed with residents unless they brought it up and then it was something that should be referred to the hospice chaplain. Prior to that training, I had attended a lecture in another state by an experienced hospice worker in which she talked all about the need for hospice residents to “live in the present.” The speaker had absolutely nothing to say about the possibility that consciousness will survive death and that the dying person’s doom and gloom might be better dealt with by discussing such survival. It is not uncommon, Koedam states, for dying people, in the days or weeks before death, to talk about visits from deceased loved ones. “They say that these individuals have come to collect them, or to help them to let go of life,” she explains, pointing out that many people are reluctant to talk about such experiences because they are afraid of being seen as confused and then required to take medication they don’t want. Also, some of the hospice staff avoid talking about them as they do not want to appear unprofessional. Relatives often shy away from discussing such things for fear of ridicule. Koedam says that the difference between a genuine “end-of-life experience” (ELE) and a drug-induced hallucination is fairly obvious. The latter are irritating and annoying and often involve very weird visions, such as insects crawling on the wall or devils dancing, but the true ELE occur mostly when the person is fully aware. They are comforting experiences that seem to help them let go of the physical world. One caregiver explained that the dying are often somewhere else for a short while and then they come back. “You can see it in their eyes. Sort of looking, but not seeing. They look through you.” She further described it as a peaceful, serene, and beautiful atmosphere. 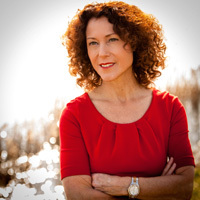 A music therapist named Hilly told Koedam that while playing the harp for people about to transition she could clearly see them going in and out of their bodies. A hospice volunteer told Koedam about a dying woman who told her that her body wanted to die but it couldn’t because her spirit was not yet ready. At other times, her spirit was ready but her body wasn’t. The woman explained that when her body and spirit arrived at the threshold together, then she would depart. According to Koedam, many hospice caregivers continue to feel a presence in the room after the person has physically died. The dying “process,” she says, can take a few moments or several days. While the atmosphere is often one of love, peace, and calm, they are not always pleasant. Some caregivers are more sensitive to these “energies” than others. “Some people leave very quickly, others linger,” one caregiver reported. The usual policy at one hospice is to wait for one day before calling the funeral director to collect the body. The bottom line is that, properly understood, deathbed phenomena can offer comfort to the dying person and help him or her prepare for “transition” while also providing some peace of mind for the relatives and friends of the dying person. After reading the chapter dealing with the “lingering presence” after physical death, I took time out to check my mail and found a new comment at an old blog I wrote about “soul mist” (see blog of June 11, 2012). A reader found it strange that this mysterious vapor or mist sometimes witnessed by people at deathbeds as the person dies is not witnessed more often. I wondered if the answer to that question might be that it is more obvious with people who leave their bodies immediately and less obvious with people who linger around their bodies, the “soul mist” just slowly oozing out and therefore less dense and less transparent. As Koedam puts it, that “something” dissipates or slowly lets go. Other metaphysical references on this subject suggest that few souls make an immediate departure, most lingering for a time. The reader might take note of the many comments left at the June 11, 2012 blog and an earlier blog on October 4, 2010 by people who claim to have observed such soul mist. In the light of death: Experiences on the Threshold Between Life and Death is published by White Crow Books and is available on Amazon and all good online bookstores. Good article and great posts. As a deathbed researcher and experiencer, and clinical practitioner, I can tell you for a fact that many hospice facilities don’t prepare residents or families for these afterlife encounters. Some referrer to the experiences as hallucinations and call for strong medications. Those that do acknowledge departing visions are true healers. Sadly some of them get “flack” from their peers for talking openly about these experiences. Others operate without their peers knowing about their supports of residence, family who have these encounters or are in need of information. When my mother-in-law crossed, we had received one yellow sheet of paper about the dying process. One line was devoted to the “hallucination” of seeing deceased relatives and friends as death drew near. There was nothing about the experiences survivors could have with afterlife visitations. Thank goodness we as a family were aware. There seems to be a prevalent belief among investigators that most hospices go above the call of duty when it comes to informing their residents and family members about these encounters. This is far from the truth. I found this very interesting because of my brief involvement with Hospice here in the Willamette Valley. That Hospice did not want Hospice workers discussing spiritual issues with clients, and they didn’t want spiritual issues discussed with the survivors during the meetings of Bereavement groups, either. I was trained to run a Bereavement group, but left Hospice before I could begin. With my knowledge of various spiritual topics, I am convinced that I soon would have run afoul of their rules anyway. When you see family/friends in need, how can you NOT give them information that might alleviate their suffering? I can’t think of anything more cruel, can you? Thanks for sharing your experience. Sadly, it is more in line with what I have heard from others. Hi Mike, I’ve mentioned before that I volunteer in a hospice home in my community. Some observations from my experience are that most of our residents don’t seem to be interested in spiritual matters; which continues to surprise me. The home has no prohibitions on conversations regarding spiritual matters and, sure, some residents do have a clergy member visit, but generally, in my experience, there is little interest expressed by the residents in having those discussions. Also, the death bed vision type phenomena are very rare (again, in my experience). I thoroughly believe in the reality of these things. So I’m not applying a filter based on negative bias that I am aware of and I don’t hear my co-volunteers mentioning them either (nor do they mention having engaged in spiritual discussions with residents). Actually, I am somewhat disappointed that I haven’t encounter residents having pleasant visions. It would be so much better for them if they did, I think. The residents do tend to watch a lot of TV, right up to the end. Just mundane sitcoms, sports, etc. Again, surprising to me. That said, I have witnessed some odd events at the time of death - lights dimming, pings and knocks, once a defunct intercom system suddenly turning on and making crackling noises (radio static sounds) and definitely felt a presence in the room. Once or twice I thought the presence may have followed me home for a while. I have a hard time reconciling my experience with what I have read others reporting. For 8 years I gave workshops across the U. S. A. on death, dying and grief and suicide. Most attendees were nurses and hospice volunteers. I had them fill out a questionnaire re any experiences they had with patients that suggested life beyond and contact with loved ones. A small number indicated they had witnessed this possibility. I also served as hospice chaplain for about 15 years and most of the time discussed discretely and compassionately with dying patients about the afterlife. Usually I would initiate the conversation. In the role of pastor (chaplain) I encountered no opposition from staff. Regarding my experiences with hospice in Florida…. very accommodating to my spiritual beliefs of survival of my husband’s soul in an afterlife. My husband went peacefully (my son and I both having a premonition his time was nearer than medicalor hospice personnel had expected). The nurse accepted our belief and took the time to monitor my husband more closely and with gentle care towards his ending in this material world.